Courtesy of Remington Real Estate. Located in the Jones Farm neighborhood, 2 story contemporary farmhouse home won’t last long! Built as the model home for Jones Farm, this beauty includes 2390SF, great room, main level office/4th bedroom, beautiful kitchen with oversized island, corner pantry, SS appliances, gas fireplace, large master suite with double walk-in closets, bonus/family room, hardwood flooring, covered back patio, tankless water heater, 220 plug in garage, fenced and landscaped. Earth Advantage certified, convenient mid-town location and just blocks away from Hollinshead Park. Please, send me more information on this property: MLS# 201902658 – $495,000 – 1306 Ne Hoover Loop, Bend, OR 97701. 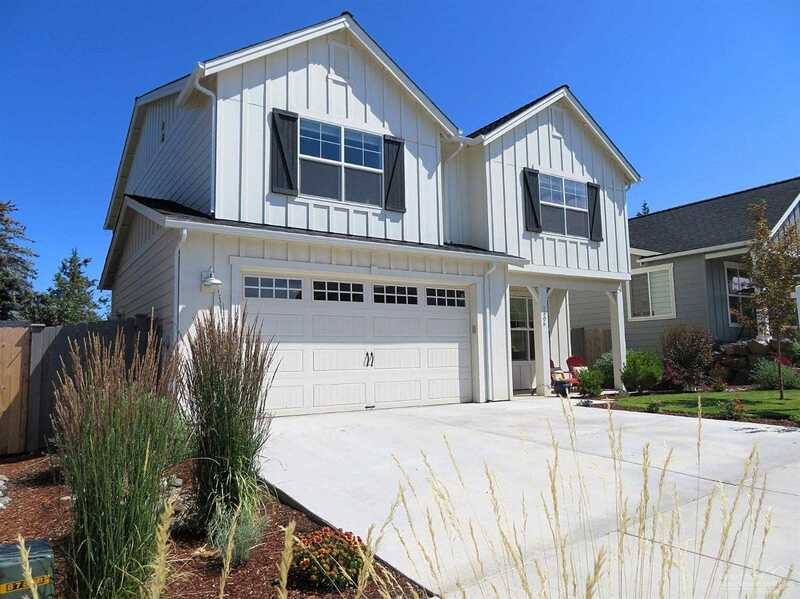 I would like to schedule a private showing for this property: MLS# 201902658 – $495,000 – 1306 Ne Hoover Loop, Bend, OR 97701.